4901 Turnbury Wood Drive, Tampa, FL.| MLS# T2906525 | Westchase Real Estate - Westchase FL Homes For Sale - Westchase Local Experts. HUGE PRICE REDUCTION! 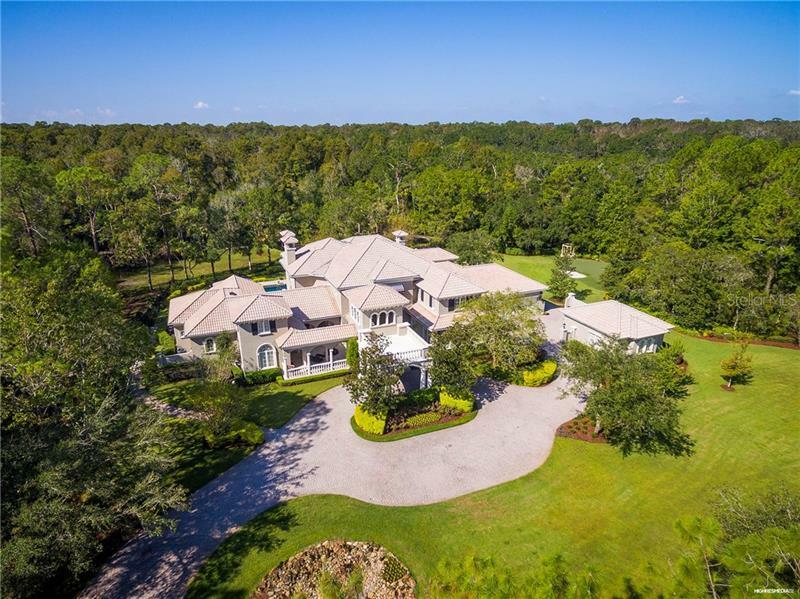 Welcome to an exclusive enclave of 4 exquisite estate properties in the heart of gated Tampa Palms. Privately gated and boasting over 10100 sq. ft. of superior quality construction and refined finishes on just under 13 acres. Home to an NFL Coach of the Year award recipient experience the ultimate in Turnbury Wood luxury as you enter the grand foyer with sweeping staircase to custom ceilings and woodwork travertine and gleaming hardwood flooring impressive columns and attention to detail throughout. Spectacular living spaces include a formal living room with fireplace dining room family room with two-sided fireplace bonus room media room his/her offices and billiards/game room. Enjoy unmatched outdoor living areas with expansive terraces for entertaining outdoor kitchen and fireplace resort-style heated pool and spa with a putting green and lush landscape beyond. An Old World-inspired Chefâs kitchen features professional-grade appliances and natural gas (Thermador Wolf SubZero Fisher & Paykel) center island and Butlerâs pantry. A personal escape awaits in the first floor master retreat featuring a vaulted ceiling sitting room morning kitchen dressing area and opulent bath. Guest accommodations include a cabana/guest house with kitchen along with a guest tower suite. Substantially remodeled with expansive garage storage for 7 cars exceptional appointments continue with an 800+ bottle wine cellar surround sound misting system and full audio/video security.